The Purdy block brush has unique criss-cross bristles which removes paint twice as fast as a standard wire brush. 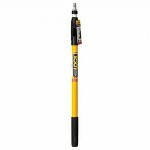 The bristles are made from stainless steel making it rust proof. 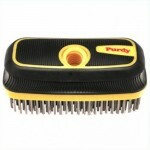 Purdy patented criss cross wire bristles. Screw threaded hole for use with extension poles (not included).